A Freeform Report can be converted to a Layout Table Report. There are some operations in Alpha Anywhere that can only be performed on Layout Table Reports. 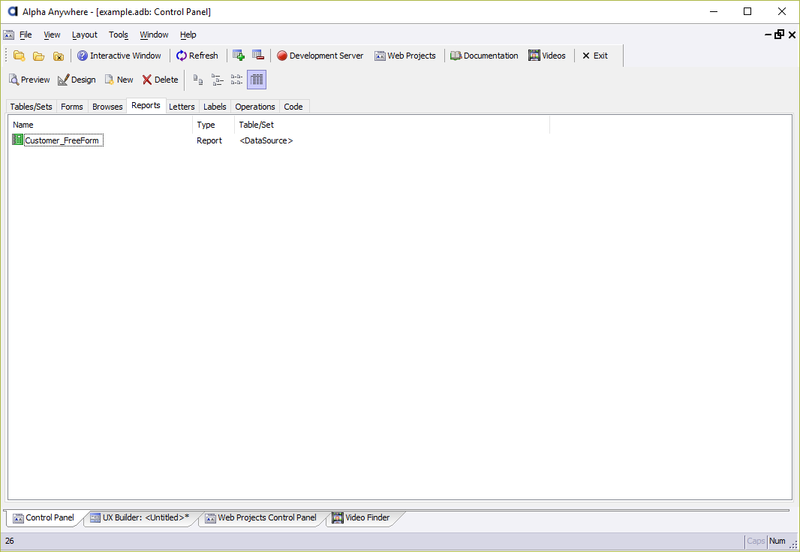 For example, exporting a Report definition to Excel, Word, HTML, or Ascii formats is only supported for Layout Table Reports. If you want to be able to perform the same action on a Freeform Report, the Freeform Report must be converted to a Layout Table Report. Reports can be defined in one of two locations: in the Control Panel or the Web Projects Control Panel. The sections below explain how to convert a Freeform Report to a Layout Table Report for reports saved in both of these locations. 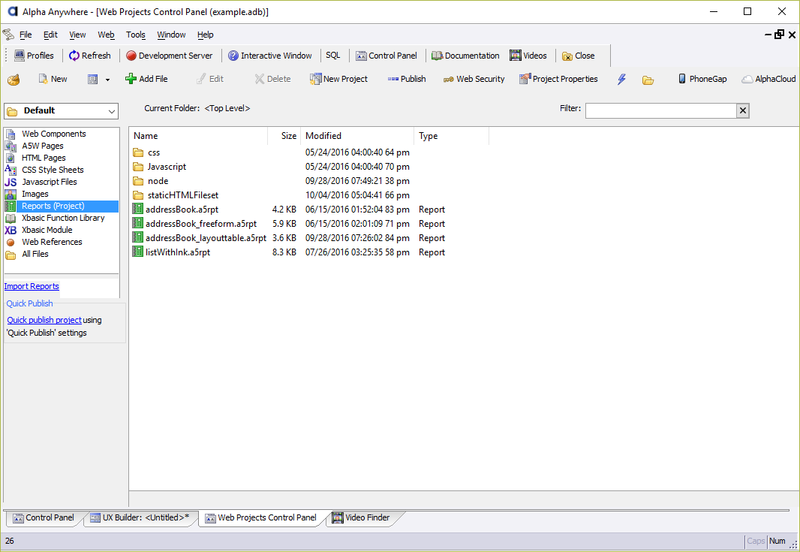 Navigate to the Control Panel and select the Reports tab to display the reports in the project. 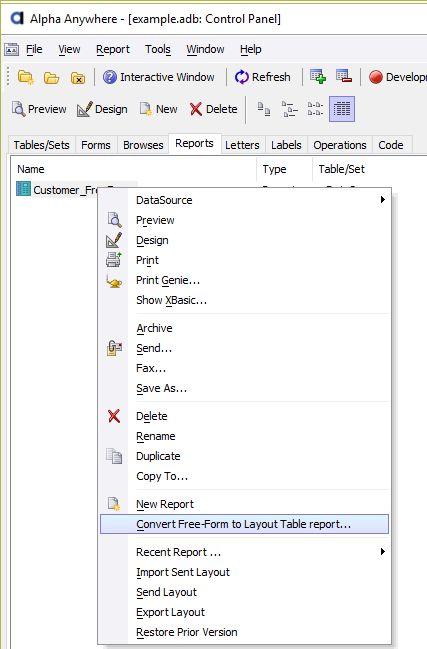 Right-click on the Freeform Report and select "Convert Free-Form to Layout Table Report". Give the report a unique name and click OK.
Navigate to the Web Projects Control Panel and click on Reports (Project) in the left-hand column to show the reports in the web project. If "Convert Free-Form to Layout Table Report" is not an option, make sure you have selected the Reports (Project) option in the left hand column. 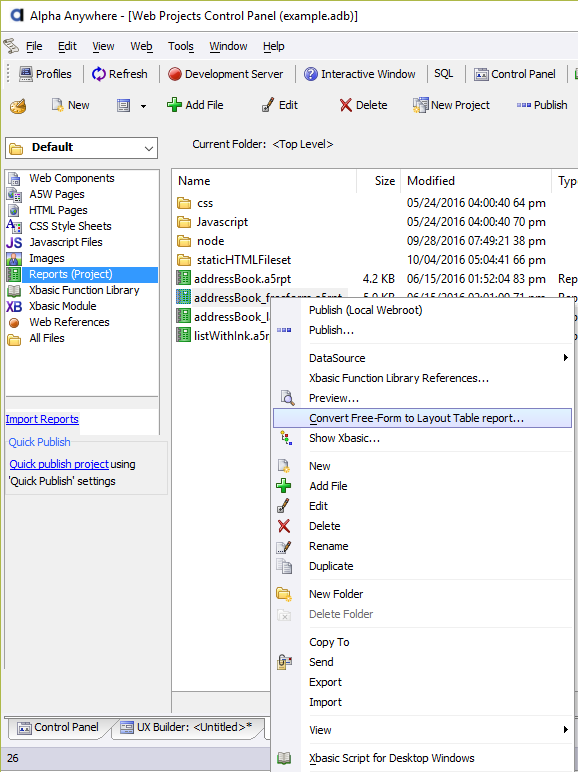 "Convert Free-Form to Layout Table Report" will only be available if the Web Project Control Panel has been configured to only display Reports in the web project.